The Angled Desk is a great way to utilize an area where an extra sofa or a blank space might be, and to give you a surrounding area to work on. 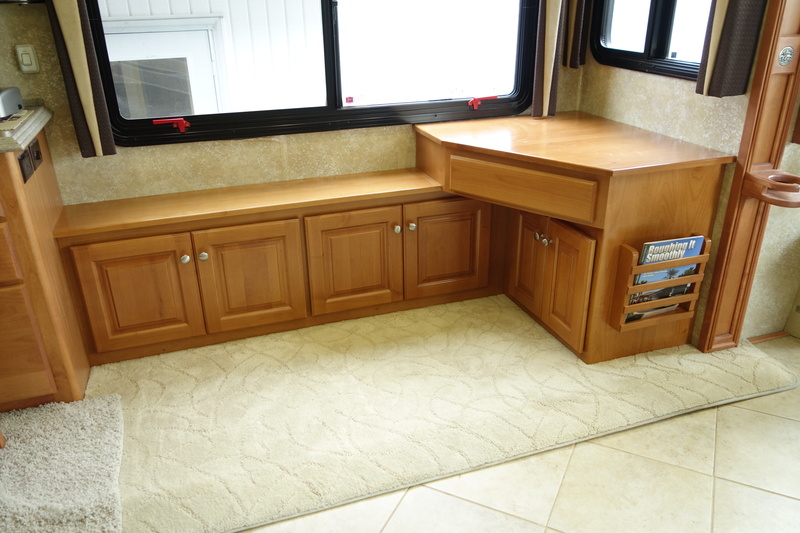 The standard layout is a pullout laptop shelf in the angle part, then on the front we have a door with pullout shelves for printer and paper storage. The back cabinet can be customized with file drawers, or storage drawers or just doors and shelves. 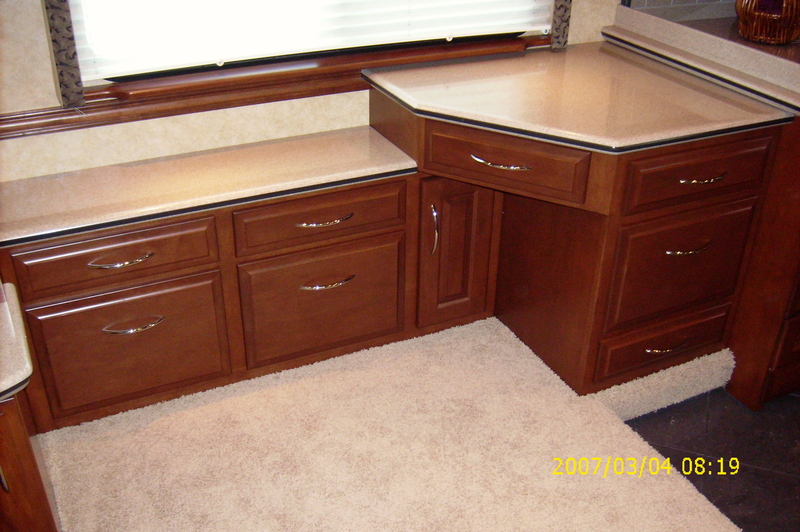 it can be built to any angle that is needed and add a very nice touch of class to a coach. 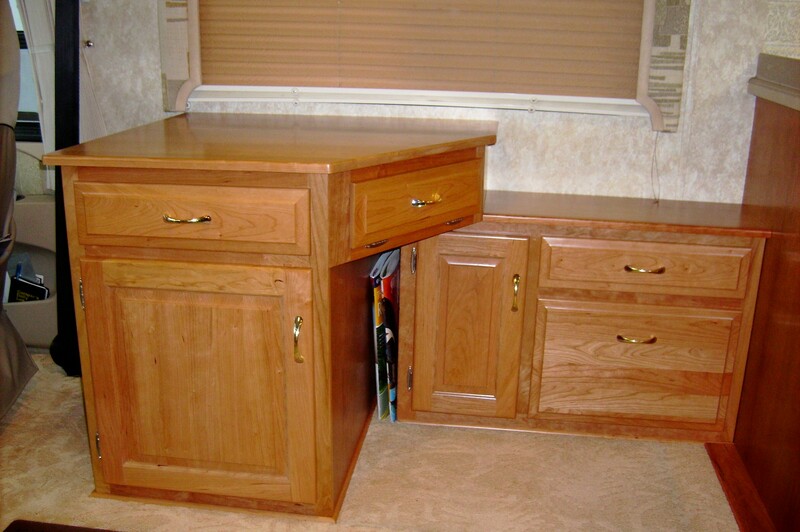 Here is a cherry Angled Desk built for office work and storage and installed in an area where a chair used to be. Note the small opening slot underneath the main top for maps and atlas storage. The Modified Desk is similar to the Classic Desk with the exception of the center area. We removed one of the freestanding table legs and mounted the table on the drawer glides on top of the center cabinet. This gives you more storage space. 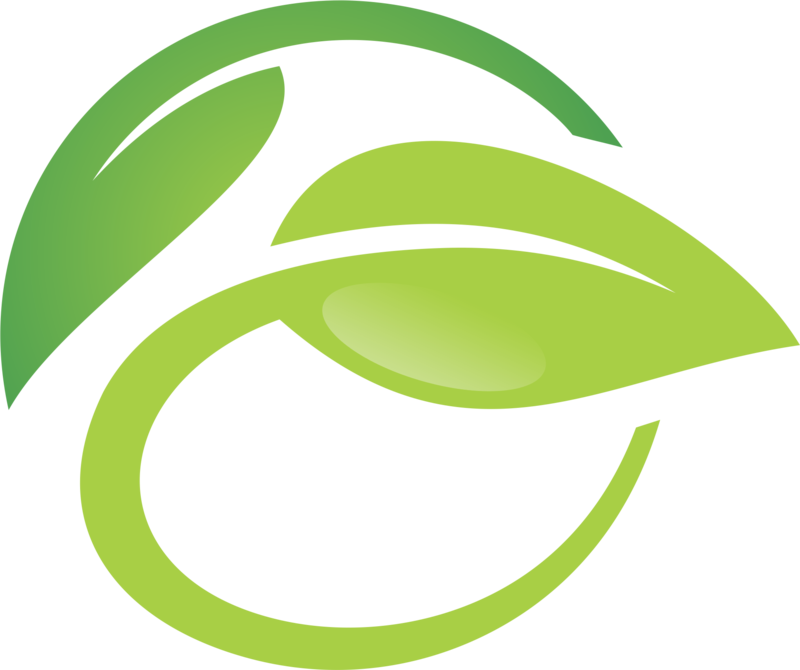 Your table will still pull out far enough to use the leaf with it. It has the same features as the Classic Desk and can also be customized to your application.